Summer vacation got you dreaming of paradise? Bon bini! 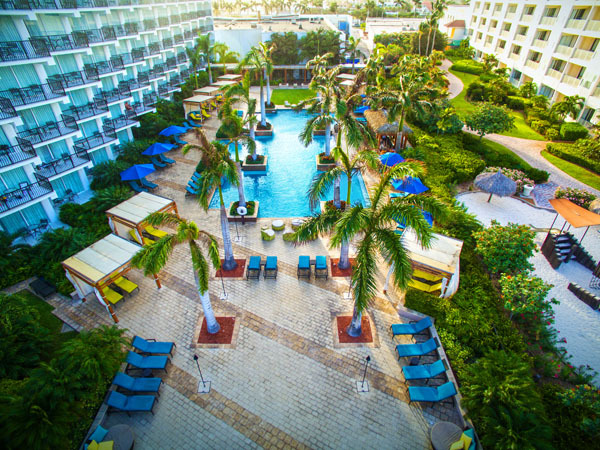 Make your dream of lounging under a palapa, sipping on a cocktail while looking out at the ocean into a reality when you book your stay at the Aruba Marriott Resort & Stellaris Casino. Known for its pristine white sand beaches with clear blue waters, this Caribbean Island will transport you to island bliss. 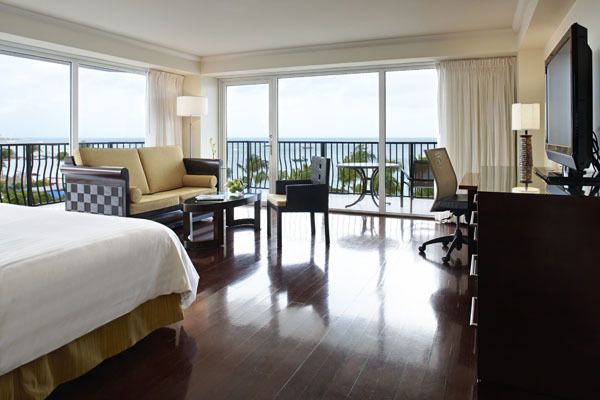 Offering 390 guest rooms and 24 suites with ocean and garden views, the Aruba Marriott Resort & Stellaris Casino is the perfect getaway, whether traveling with family, friends, a significant other as well as business retreats and destination weddings. The best part about Aruba is that you choose the type of vacation it is; it can be as laid back or action-packed, as you want. The resort has numerous activities from which guests can choose, such as swimming, volleyball, beach tennis, snorkeling, kayaking, as well as sailing. Guests 18 years of age and older are invited to indulge in an elevated, adults-only experience at the resort’s Tradewinds Club. In need of privacy, rest, being cherished and privileged? Access to the Tradewinds Club does all of that and more. Special perks start the moment you arrive with a private check-in and checkout, reserved beach seating, and premium ocean view rooms and suites, always thoughtfully prepared to make you feel privileged. 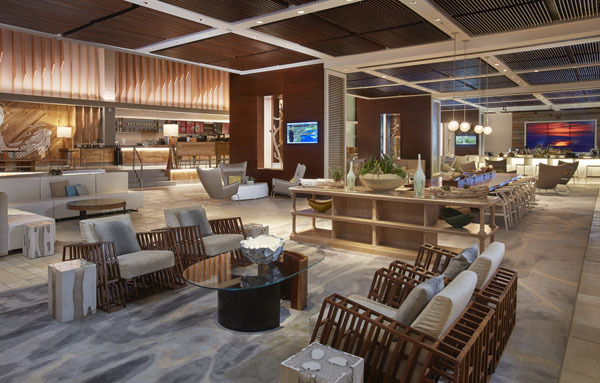 Tradewinds Club guests also receive exclusive access to the Tradewinds Club lounge, the perfect playground to take a break from the sun to enjoy complimentary refreshments and culinary creations from the resort’s restaurants, served five times per day. 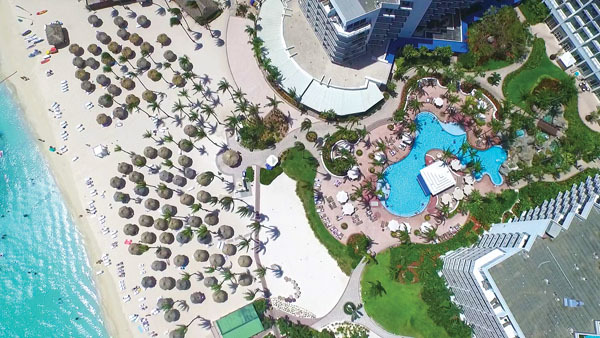 The Tradewinds Club and lounge are adjacent to the incredible H2Oasis adults-only pool, which offers an exclusive bar and pool cabanas.